The SKN130/SKR130 diodes from SEMIKRON are designed for general applications in power rectifiers. 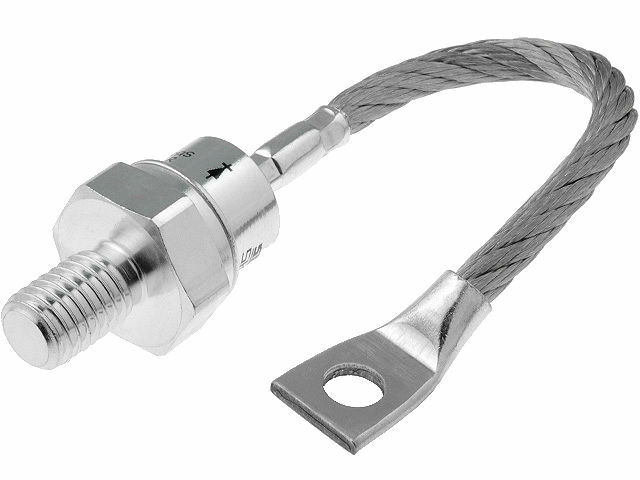 These universal, silicon rectifier diodes come in a threaded metal package, with glass insulation. Comfortable package with M12 thread enables fast and easy mounting. There are two versions available, with anode or cathode stud. Remember that these diodes require appropriate cooling.